View cart “Tahitian Pearl, Blue Sapphire Pave” has been added to your cart. Exquisite, sophisticated black flower ring of central Tahitian pearl with large, modern style petals pavé-set with dark blue sapphires (that look black until seen against the light). The black theme continues with the oxidized silver petals and band, black rhodium plated. Exquisite, sophisticated black flower ring of central Tahitian pearl with large, modern style petals pave-set with small dark blue sapphires (that look black until seen in the light). The black theme continues with the oxidized silver petals and band, also black rhodium plated. Glamour! A dark Tahitian pearl is centrally positioned. 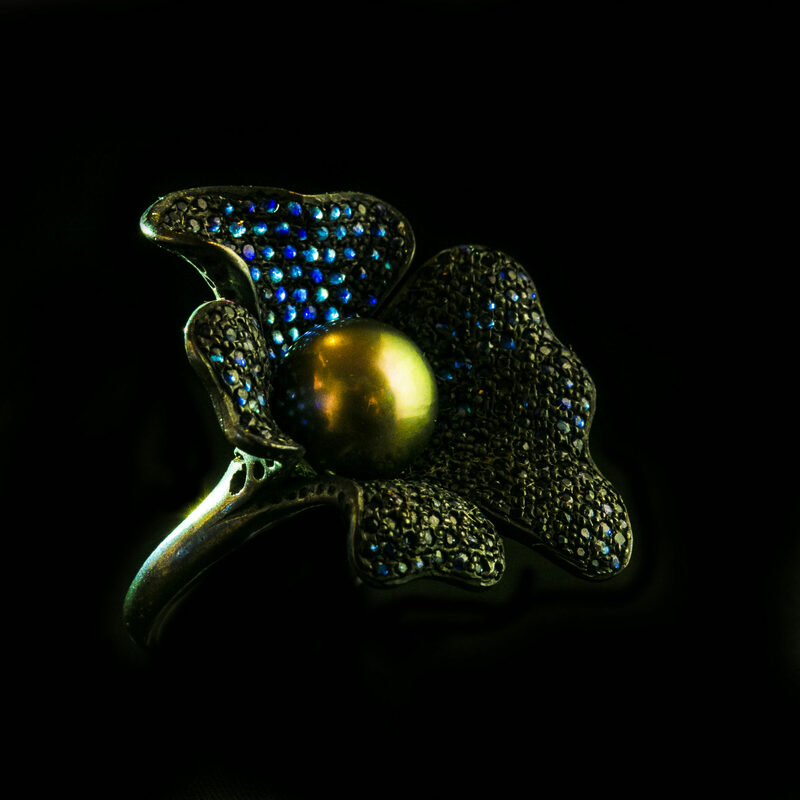 Black flower petals (40 x 30mm) are pavé-set with numerous dark blue sapphires (that look black until seen in the light).